Whether it's a Wedding, Birthday, Anniversary, or just a Special Occasion the Gift Registry is sure to make shopping for friends and family an enjoyable experience. It's gift giving made easy..The Bella Interiors Way. As you go shopping just click on the Add to Gift Registry button and it is automatically stored to view later. 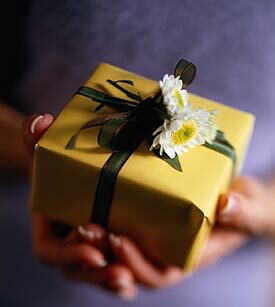 You can send your Gift Registry to anyone and they can view it just by your e-mail address. The perfect way to get exactly what you need and want! The Gift Registry automatically takes off the item chosen once it is purchased by someone. No more duplicates and endless exchanges! It's fast, easy and fun!